You will be glads to hears that everyone is ins a much betters mood todays, as somehows I managereds to cleans the coffees machiners, so everyone gettereds their much needereds cups of wakeys wakeys this mornings! 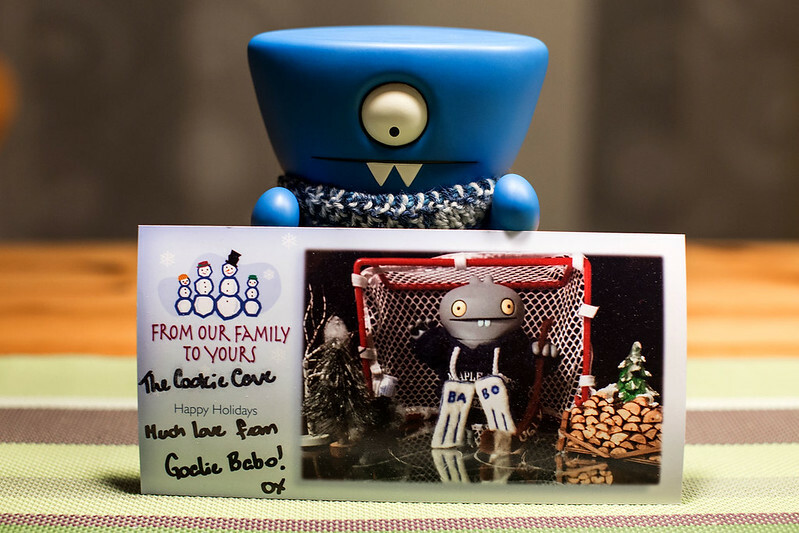 Checks out what amazingnessers arrivered here at the cookie cave this mornings, a wickeders xmas carder for my gooders buddy goalie babo alls the way overs in Torontos, Canada! Keeps your sticks on the ice this festives period my gooders buddy!